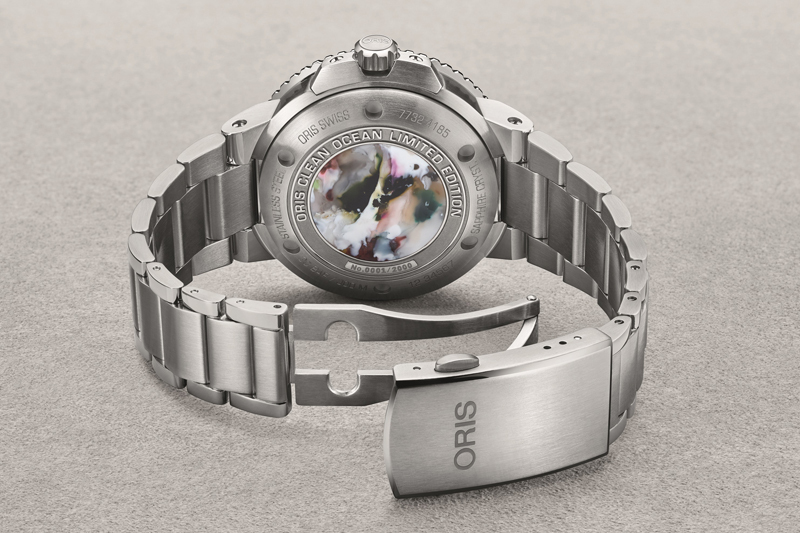 ORIS’S three-story exhibition booth at Baselworld 2019 (or its Holstein manufactory, for that matter) may be a thousand kilometers from an ocean, but it’s apparent the watchmaker always has marine conservation in mind — its numerous shore cleanup and reef building and aquatic life protection initiatives prove this. 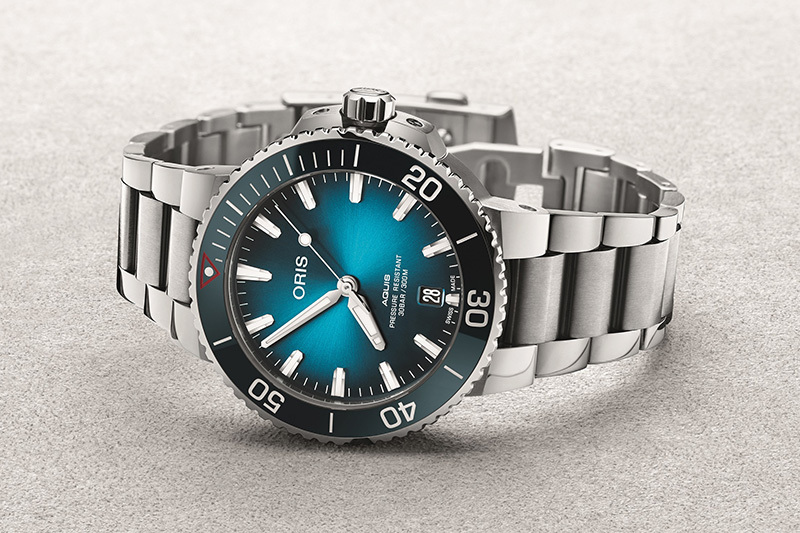 A recent addition to the list is its partnership with pioneering ocean conservation group Pacific Garbage Screening, for which Oris made the Aquis Clean Oceans Limited Edition dive watch. Why the interest in this project? Oris, citing UN Environment Program statistics, points out some staggering facts. As it turns out, more than eight million tons of plastic end up in the ocean every year, or the equivalent of one garbage truck dumping its full load into the waters every minute. Of the stuff littering the oceans, a full 80% is plastic, thanks to this material’s incapacity to rot. At the rate things are going, it is estimated there will be more plastic in the ocean than fish by the time 2050 rolls around — that’s basically two Tuesdays from now. Plus, for a bit of poetic justice; we eat the fish that eats this plastic. Against this background, Pacific Garbage Screening is currently developing a floating platform that retrieves and recycles plastic litter, converting this into energy and bio-based products (like biodegradable plastics). When finished — the target is to unveil working prototypes in five years’ time — the platforms will be placed in rivers and similar estuaries. The group believes plastic litter enters the oceans through about 10 rivers across the planet. 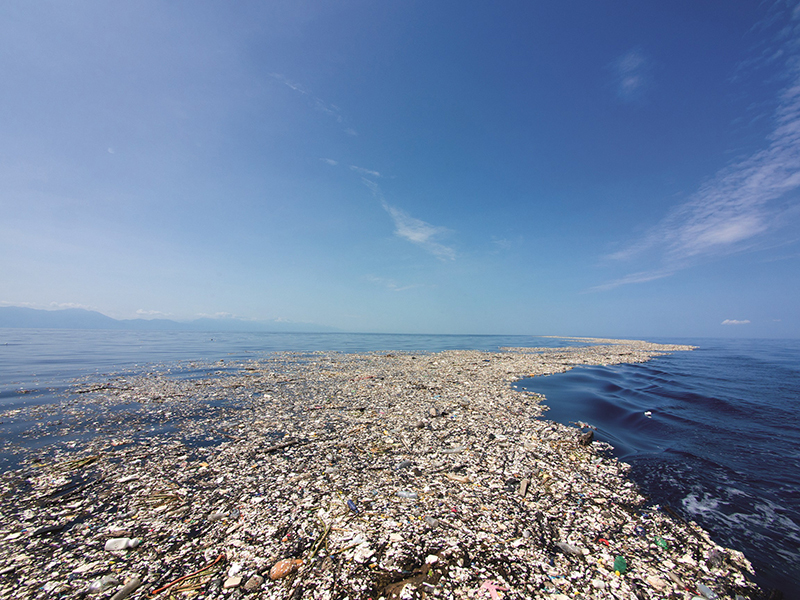 The giant structures, anchored in place, collect plastic waste via a process called “inverted sedimentation” in which litter pushed by currents to the bottom of waterways is pulled back to the surface via fins. The platforms can then skim litter off the surface of the water. The platforms are not powered, and so do not need fuel. Instead, they rely on their architectural form to retard currents, allowing plastic waste to float to the surface. And because the structures do not use a filter, like nets, fish and other aquatic creatures won’t be harmed. Also part of the plan is to find a way to recycle the plastic litter collected by the platforms, in the process converting waste into resource. This component of the project is even highlighted in the Aquis Clean Oceans piece — a medallion made of recycled PET plastic is set onto the caseback of each of the 2,000 watches available. Further distinguishing the special Aquis are a gradated dial (its bright blue hue turns dark around the edges) and uni-directional rotating bezel with an aqua blue ceramic insert. Retained are the good things about the Aquis, namely a sedately-sized 39.5-millimeter steel case that, with the help of a screw-down solid caseback, screw-in crown and domed sapphire crystal cover, is water-resistant to depths of 300 meters; SuperLuminova-coated hands and indices; and a steel bracelet with diver extension adjustment. 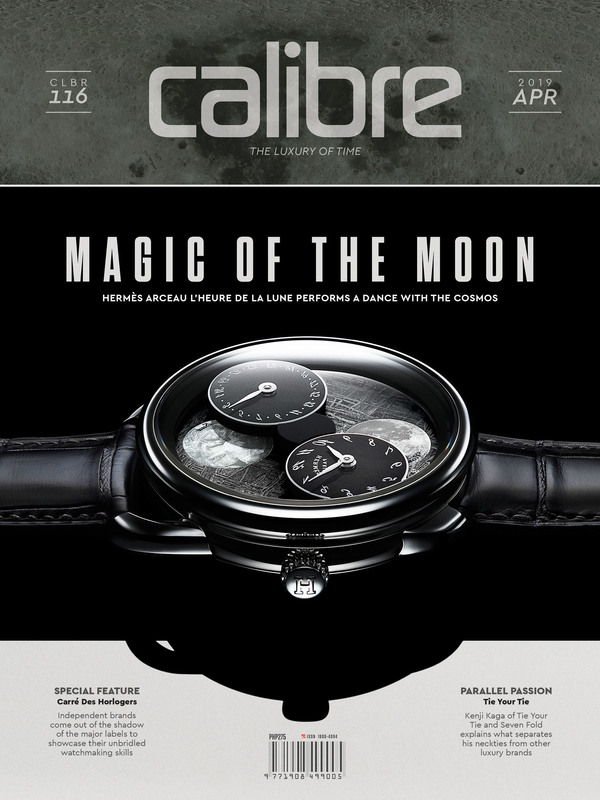 Powering the watch is Oris’s Sellita SW200-1-based self-winding cal. 733, a 26-jewel movement that allows for instantaneous date correction, spins at 28,800vph, and stores power good for 38 hours. 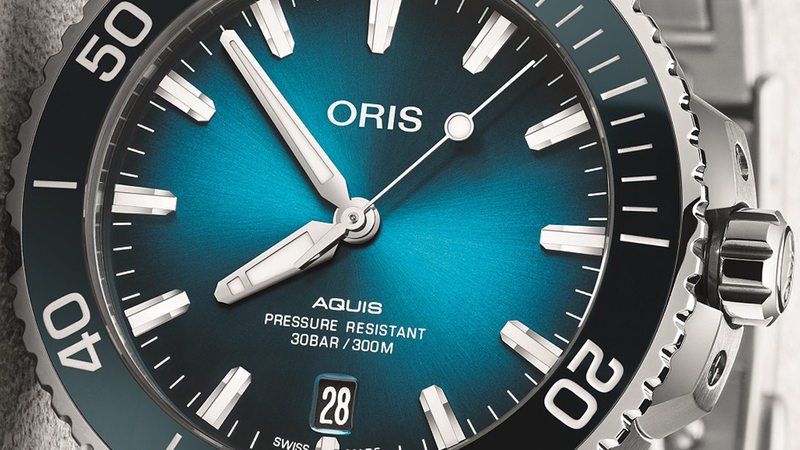 Part of the proceeds coming from sales of the Aquis Clean Oceans (well, if not Oris’s support for the project itself) is earmarked for the conservation program. 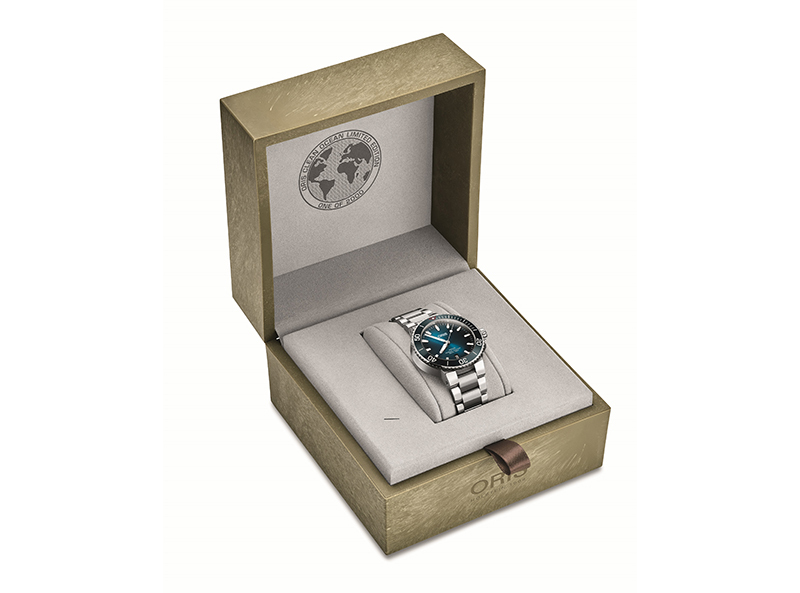 Oris’s commitment to conservation is also illustrated in the planet-friendly package in which the special Aquis comes (the watch is set to be sold in June) — a box with a shell made from algae and recycled plastic inlay. So, no, this box won’t harm the fishes.